Healthcare is in the midst of massive transformation. Care providers are constantly implementing new technologies and breakthrough treatments while complying with an overhauled reimbursement model. At the same time, emerging building systems and design frameworks are quickly rendering many hospitals outdated. For many, hospital renovation is a necessity, but it also presents a strong opportunity — to improve care, serve community needs, offer expanded services and improve your hospital’s bottom line. Hospital renovation should solve real problems and improve conditions for patients, healthcare staff and facility managers — while serving the long-term vision of administration and hospital leadership. What problems can renovation solve? If your facility is facing these challenges or similar ones, it may be time for renovation. 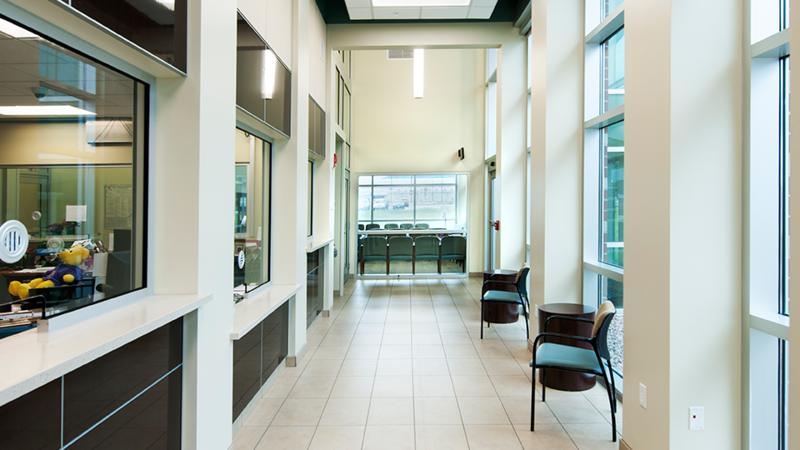 In many cases, it may seem a facility is too old or impractical to fix; you may be surprised. Renovation is often possible when it seems new construction is the only option. 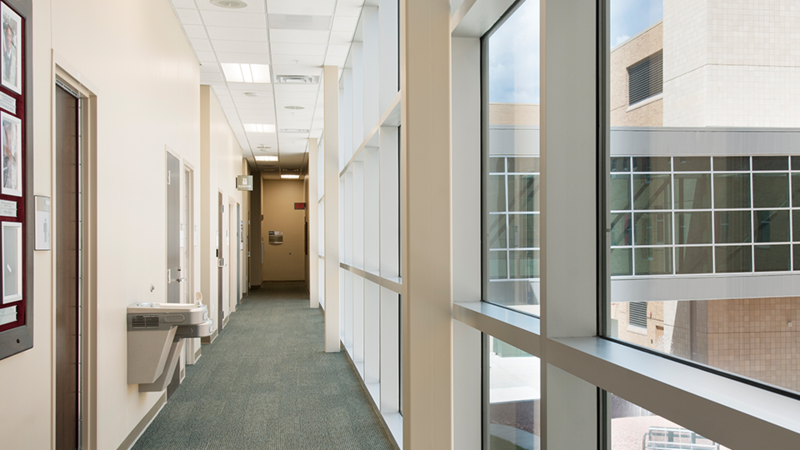 For example, when the leadership of a hospital in Texas was planning new construction, we found a renovation solution that cut construction costs in half. Before you settle on new construction, consult an experienced team that can evaluate all options. Your hospital needs to support all stakeholders, from leadership and facility managers to doctors, nurses and other frontline staff. Speaking with all of these parties gives you critical insights into their challenges, so you can plan a project that addresses them. These assessments help your project team promote efficiency, prioritize challenges and identify solutions in space allocation, layout planning and new building systems. To learn more about this process, download our strategic architectural design guide. Perform a complete evaluation of your financial capacity and align your project team’s thinking to your budget constraints. Identify the services and areas that drive profit or are losing money, so you can emphasize or de-emphasize those in the design. Solidify your budget and gauge construction financing needs. If your leadership has already drafted strategic plans and layout planning documentation, provide these to your project team. Design, engineering, estimation and construction professionals can work with you to identify any gaps and add detail where applicable. Strategic planning should be complete long before construction begins. Hospital construction isn’t a short-term investment. When you put millions into renovating your space, you need it to last for decades. That means not only anticipating and planning for long-term needs with your initial layout, but also building adaptability into your hospital. While we won’t go so far as to recommend modular design, modern spaces can be designed specifically for the purpose of serving multiple functions and service areas. As needs change, well-designed facilities should allow you to easily move departments and services to different areas of your facility. The best way to control costs and capture value is to select expert estimators and an experienced Design-Build team. Today’s hospital construction projects are so complex, it takes a complete team working together from start to finish to get the job done right. That’s why we highly recommend the Design-Build project delivery method. In this system, one complete team, made up of estimators, designers, engineers, energy-efficiency specialists, constructors and trade contractors, has responsibility for your whole project. Working together from start to finish, the team is set up specifically to find best-value solutions at every stage of your renovation to cut costs, streamline schedule and ensure quality. Learn more in our Design-Build Buyer’s Guide. If you’re planning a hospital renovation, see our guide to managing a healthcare construction project. In it, we walk you, step by step, through what can otherwise be a daunting process. Fill out the form below to download the guide.